Robyn Christiansen is a Utah woman who received a Wright Medical Technology “Conserve” artificial hip in 2006. In 2012, while doing yoga, she heard a “crunching sound” and felt sudden pain in her right hip. Ms. Christiansen was eventually diagnosed with having a loose acetabular cup which required revision surgery and removal of the cup. In 2013 Ms. Christiansen sued Wright Medical Technology, Inc., and Wright Medical Group, Inc. in federal court for design defects, negligence, fraudulent misrepresentation, punitive damages, and other claims. The case was later moved to the multidistrict litigation site created for Wright Conserve Hip Implant System cases in Atlanta, Georgia (MDL No. 2329). Ms. Christiansen’s case was eventually selected as one of the bellwether cases for the Wright Conserve MDL. After two weeks of trial, an Atlanta jury found in favor of Ms. Christiansen and awarded her $1,000,000.00 in compensatory damages (damages for actual injury and actual loss) and $10,000,000.00 in punitive damages. This was a big win. Not surprisingly, the defense team filed post-trial motions, one for “judgment as a matter of law,” and another motion for a new trial, both based on the defense’s post-trial theories that the jury verdict was inconsistent with law and flawed based on juror confusion or bias. Wright Medical also moved to strike the punitive damages award. Judge William S. Duffey, Jr., federal district judge in Atlanta, Georgia, presides over the Wright Conserve MDL. He denied all but one of Wright’s post-trial motions, but granted (in part) Wright’s motion to strike the punitive damages award. In his Order (which ran 100 pages), Judge Duffey held that the evidence supported a finding that Wright Medical engaged in reprehensible conduct, which in turn supported an award of punitive damages. See Order. Nevertheless, the judge then reached a curious conclusion, holding that Wright’s actions “did not display an extremely high degree of malice” or an “actual intent to harm.” Order, p. 92. Judge Duffey wrote that although the evidence presented at trial was “sufficient to support a finding of reprehensibility, Defendant’s conduct was motivated by a patient-centered objective to introduce a device to improve life quality for people like Plaintiff.” Order. p. 93. I don’t know about you, but it seems odd to me that a medical device manufacturer’s actions could be viewed as “reprehensible,” and then conclude that the Defendant’s motivation was to improve the quality of life for hip replacement patients like Robyn Christiansen. Either the Defendant’s actions are reprehensible or they are not. In any event, the judge then reduced the punitive damages award from $10,000,000.00 to $1,100,000.00, a figure which he claimed is “’reasonable and proportionate to the amount of harm to the plaintiff and to the general damages recovered.’” Order, p. 93. And the judge gets to make this call. This is a reduction of $8,900,000.00, an astonishing result from a post-trial Order. As you can see, judges have enormous power over the journey of every lawsuit assigned to them. A judge’s simple decision on the scope of discovery at the start of litigation can change the outcome of a case. And, when a jury trial is complete, a judge can change the results, as was the situation in the Christiansen case. 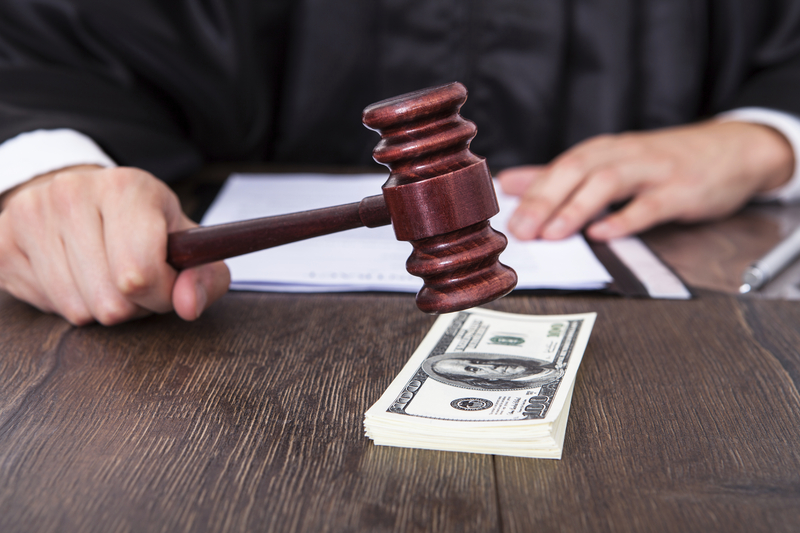 With this post-trial decision, the plaintiff’s team will undoubtedly file an appeal of Judge Duffey’s Order reducing the punitive damages award. The plaintiff’s appeal, if she brings one, will likely take a year or longer to move through the Eleventh Circuit Court of Appeals. In that time, the parties could come together and “settle” the matter pending the appeal. But make no mistake, after this post-trial decision, Wright Medical will not pay Ms. Christiansen the $11,000,000.00 the jury decided she should be paid. To get that amount of money, Christiansen will have to win her appeal and have the post-trial order reversed. As Yogi Berra said, “it ain’t over till it’s over.” And for a lawsuit it may often seem that the case is never over. In Ms. Christiansen’s case, even after three years of litigation, two weeks of trial, and a jury verdict, the results can change, either through post-trial motions or later on appeal to a higher court. It reminds me of the funny line from a comedian about the randomness of dreams, “you’re falling down a mineshaft now you’re in a parade.” Things can change abruptly in lawsuits too. Be vigilant, be prepared for uncertainty, and do not underestimate the immense power of your presiding judge.